If for your next vacation you are looking for a comfortable, spacious accommodation with top quality equipment, then Prat de Gessa may be perfect for you. 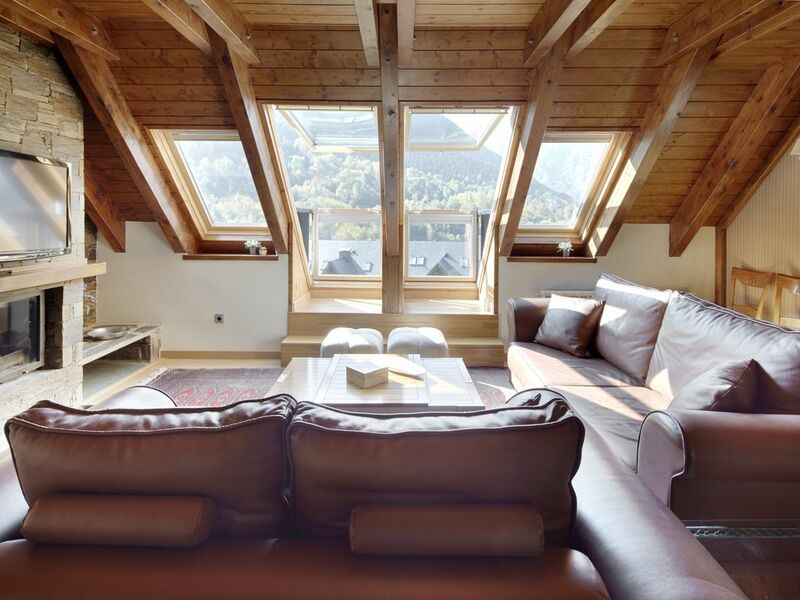 Located in the town of Gessa, less than 10 minutes from Baqueira Beret and the same distance from Vielha, the Prat de Gessa apartment has a spacious living-dining room with a modern semi-open kitchen, four double bedrooms, three bathrooms and an attic with two futon beds. It is an accommodation that perfectly combines the typical style of Aranese houses with modern touches of the latest generation. The day area is especially bright thanks to the windows that are scattered throughout the room. The kitchen is fully equipped with top brand appliances and complete kitchenware. La casa está nueva, es muy amplia y acogedora. Especialmente nos encantaron los veluxes gigantes del salón, la cocina (con un menaje completo, nuevo y limpio) y los baños ( un lujo). Pasamos unos días perfectos. Hemos estado encantados toda la familia con la estancia, el alojamiento estaba muy limpio, tenía todo lo necesario y era muy acogedor,no podemos poner ninguna pega.